Rainier Cancer Center is staffed by oncologists, nurses, technicians and administrators who bring a collaborative blend of expertise in cancer care methodologies to maximize your experience. We work closely with your referring physician to determine the best method of treatment for each patient. 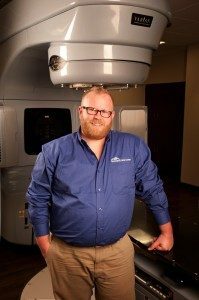 Eugene Gray, ARRT, earned his Bachelor’s degree in Exercise Science from Indiana University – Bloomington in 2007, then returned to Indiana University Northwest for his Bachelor’s degree in Radiologic Sciences with a concentration in Radiation Therapy. He earned clinical experience at Memorial Hospital of South Bend, St. Margaret Mercy Healthcare, Hammond, IN, and Ingalls Memorial Hospital, Harvey, IL in 2010. He joined the Rainier Cancer Center team in 2011. “I’m committed to patient care. Building the trust of my patients allows me to ensure the most accurate set up for each and every treatment. By communicating thoroughly and making sure they understand the process, my patients become part of the team.” Eugene serves as the point person for patient treatment scheduling and keeps the entire radiation treatment and simulation area running smoothly. Tanie Bonaventure got her start in cancer care at Memorial Sloan Kettering in 2009. She was educated at New York Methodist School of Radiation Therapy in Brooklyn, N.Y. She graduated in 2011. She earned her clinical experience in rotations at NYM Hospital, Brooklyn Hospital, LEROS and Maimonides Medical Centers before coming to Rainier Cancer Center in 2011. 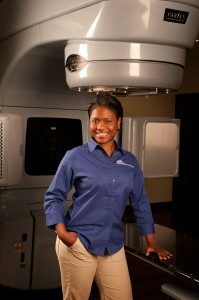 “What I love about my job is making each patient a member of the Rainier Cancer Center family.” Tanie also enjoys simulating and setting up each treatment. Because accuracy is an essential part of her work, she thrives during focused time collaborating with her patients alongside the physicist, the doctor and other members of the care team. Both Radiation Therapists earned their Radiologic Technology Certifications from the State of Washington in 2011. 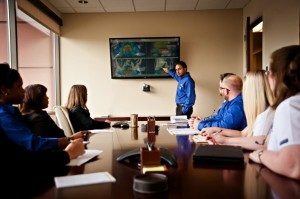 Physicist, Sartaj Singh Bhullar, received his Masters in Physics at University of Central Florida, in 2009. He went on to receive his Masters in Medical Physics from Wayne State University, MI, 2011, which is a specially accredited program through CAMPEP. Sartaj was recruited as a top candidate in the field due to his excellent academic credentials. He began his work through Photon Physics and joined the Rainier Cancer Center team in 2012. “I like the way Medical Physics creates an amalgamation of Physics and Medicine. 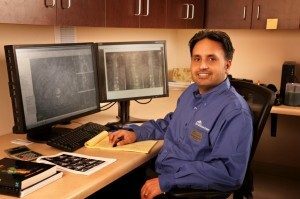 It’s good to see the practical aspect of the field in Medicine.” Sartaj is responsible for customizing each radiation treatment plan alongside the radiation oncologist, and working directly with the therapy team to ensure quality, safety and calibration of the radiation treatment equipment.